I have lived and farmed in Beenham for over 50 years and have 2 children Kathryn and Andrew. We all live at the farm in Beenham, and also farm in various places over a 9 mile radius. I have a particular interest in rural employment and integration of diversity into the rural economy. My hobbies are rare breed cattle breeding and conservation projects (barn owl breeding habitats in particular). I have lived happily in Beenham for over 20 years now. I am married and we have a very energetic dog and a rather lazy white cat. I also enjoy horse riding, especially when the weather is fine. My two grown up children both attended Theale Green school many years ago. I have now retired after years of working primarily in the IT sector. I have lived in Beenham with my wife and children for 40 years, except when working overseas. I have almost retired as a civil engineer, and now have time to help with the work of the Parish Council. My interests range from grandchildren, yachting, and the local church. I have lived in Beenham since 2009 leaving an extended family of eight great grandchildren in Essex. My main interests are sports and cooking. As a hobby, I also enjoy model railways. I am relatively new to Beenham, but not to Berkshire. I've worked in IT for the past 30 years in various roles. I enjoy spending time with my family, keeping the garden tidy and rugby. The Parish Council usually meets at 7:00pm on the first Monday of each month in the Community Room adjoining the school. Notice of the meetings appears on the Parish Council notice board outside the school, together with the minutes of the previous meeting and other relevant information. The first 15 minutes of each meeting are allocated to the public to allow them to raise any matters of concern. In addition to the monthly meetings there is the Annual Parish Assembly which takes place in April. The Parish Council is responsible for many aspects of village life, including the provision of recreation facilities, reporting on the state of highways, footpaths and bridleways, commenting on planning applications and supporting parish initiatives, sometimes with grants. The Parish Councillors approach their responsibilities broadly in line with The Good Councillor's Guide. The Clerk to the Parish Council is Jennie Currie, 44 Harrington Close, Newbury, RG14 2RQ, Tel. 01635 580190, email theclerk@beenhamonline.org. For further information about the activities of the Parish Council or if you are interested in becoming a Parish Councillor, please contact any member of the Parish Council or email info@beenhamonline.org. MEETINGS ARE HELD AT 7.00PM IN THE COMMUNITY ROOM. Minutes and other documents below are available in Adobe Acrobat (PDF) format. Clicking on one of the links will open the document in a new window. From there you can save or print the document if desired. Closing the window will return you to this page. The Parish has a Parish Plan which can be found on the Future of the Parish page. An update of the Action Plan is available here. During 2016 a number of working groups were involved in a refresh of the Parish Plan Action Plan. As a result of this initiative the public transport in Beenham village has been significantly improved, there is now a monthly Afternoon Tea Party on the last Tuesday of each month in Beenham Club, and new youth equipment has been installed on The Rec. Note: The documents are available in Adobe Acrobat (PDF) format. Clicking on one of the links will open the document in a new window or tab. West Berkshire Council is a unitary authority responsible for the full range of local authority services. Council Offices, Market Street, Newbury RG14 5LD. Keith Chopping is our West Berks district councillor. 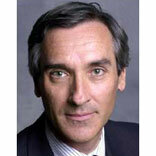 Our Member of Parliament is John Redwood (Conservative).